If you are looking for a seven seater car, most of the options are MPVs and SUVs. If you want a traditional car but are looking for the flexibility of seven seats then the Peugeot 308SW could be the answer. It has masses of space, low running costs and a good driving experience. Look at this car from the outside and you would be forgiven for doubting the space you get on the inside. With the middle row seats in place you get a very healthy 674 litres of boot space. Take them out and you get a massive 2,149 litres. 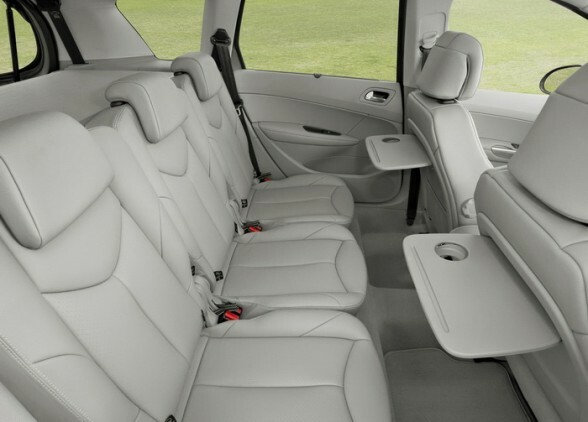 This is more than many seven seater MPVs. The seats don’t fold flat but you can take out all seats from the middle and rear most rows to create a massive flat load space. Some models have a separate opening glass tailgate which makes it easy to get items out of the car without them sliding out when you open the boot. Peugeot offer a good range of engines to choose from with the 308 SW. There are four petrol and four diesel engines on offer so you can choose increased performance or lower cost and increased fuel economy. The petrol options start with the 1.4 VTi which has a 0-60 time of 13.4 seconds, top speed of 111 mph and returns 44 mpg. At the top of the range is the 1.6 THP which gets to 60 miles per hour in just 8.8 seconds, has a top speed of 133 mph and yet still returns 39.8 mpg. It is of course on the diesel engines where you will get the best fuel economy but you don’t need to sacrifice performance to do this. The range starts with the HDi 92 which has 0-60 figures of 13.2 seconds and a top speed of 110 miles per hour whilst returning a very impressive 62.8 mpg. At the top end of the diesel range is the HDi 150 which gets to 60 mph in 9.8 seconds, has a top speed of 127 mph and still returns 53.4 mpg. The cabin feels well put together with plenty of modern, soft touch plastic in evidence.The driving position seems a little bit set too far to the right so is difficult to get a perfectly comfortable position. The car feels quite heavy to drive which some people prefer compared to many modern cars which have very light steering. The 308 SW handles well on the road with good grip and very little roll round corners. Very little road noise comes into the cabin of the 308 SW. 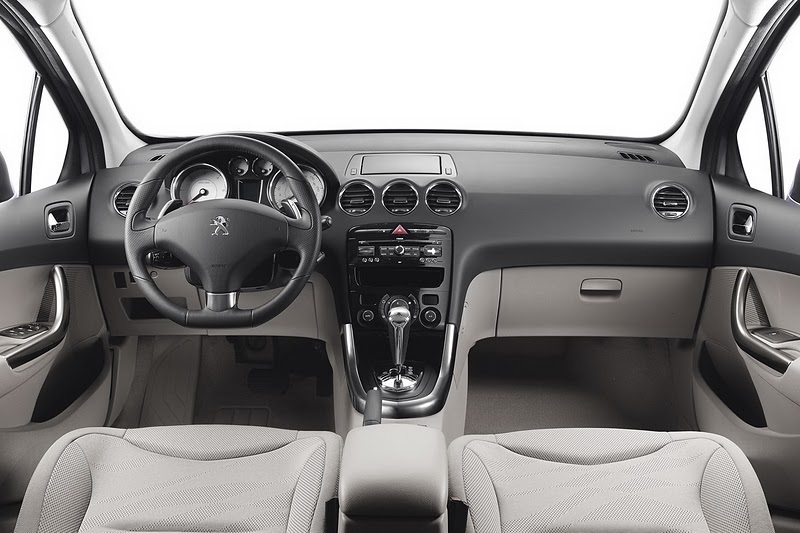 Some of the petrol engines can be a little noisy but Peugeots diesels are very quiet. The seats are supportive and comfortable but the boot seats don’t have a lot of legroom and although you can slide the middle seats forward to increase this then the middle row passengers lose out. The suspension on the 308 is on the firm side and the ride can be a bit unsettled on uneven roads. The 308 achieved a rating of five stars in the Euro-NCAP tests with six airbags as standard on all models in the range. There are a host of active safety features to help ensure that you never need the airbags including ABS brakes, stability control, traction control and brake distribution to evenly apply braking pressure. Peugeot don’t have a great reputation when it comes to reliability and I’d like to report that the 308 SW is different. But unfortunately it doesn’t seem to be. In the 2011 JD Power survey the 308 came 16th in it’s class. These will be competitive with other seven seaters. Carbon emissions are low across the engine range so expect car tax costs to be reasonable. Fuel consumption is good, even among the petrol engines and if you go for one of the diesel options then it is excellent. The HDi 92 achieves 62.8 mpg. Insurance costs are about average ranging from group 12 to 20. 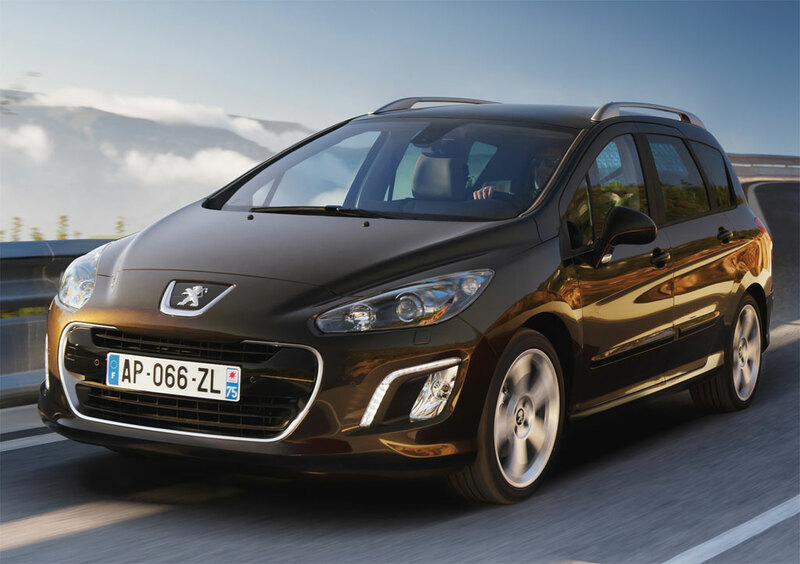 If you are looking for a seven seater but don’t want an MPV then the Peugeot 308 SW is one of the few options that could provide the answer. 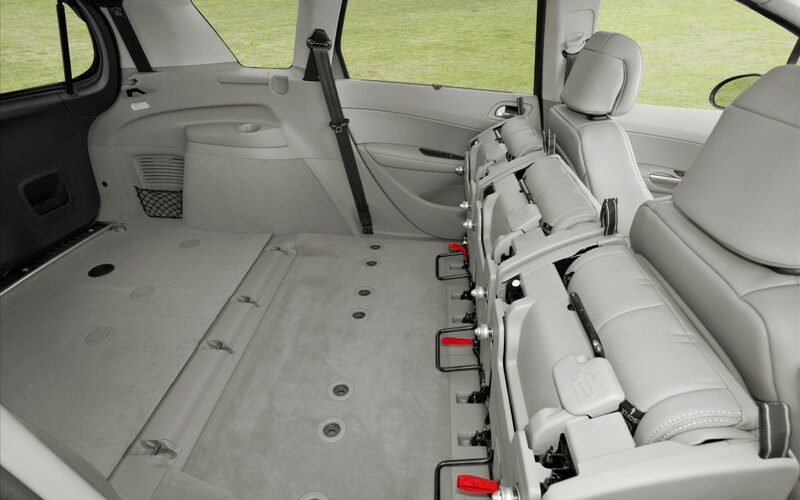 You wouldn’t want to use the seven seats all the time as the space is a little cramped but they are fine for occasional use and give you flexibility and a very large boot. There are some good engines available and running costs are reasonable.